UPDATE: BROOKLYNVEGAN PRESALE PASSWORD FOR NYC SHOW HERE. 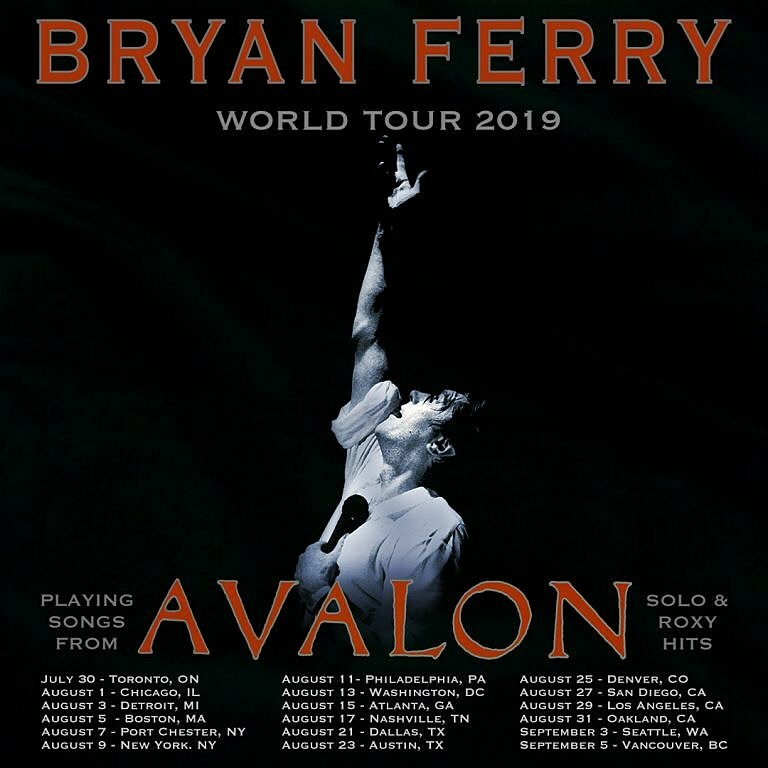 Roxy Music frontman and longtime solo artist Bryan Ferry returned in 2018 with the new album Bitter-Sweet, and this year he’ll be doing a world tour celebrating Roxy Music’s eighth and final album, 1982’s Avalon. The tour is billed as “playing songs from Avalon, solo & Roxy hits.” Roxy Music are also getting inducted into the Rock & Roll Hall of Fame this year. The ceremony happens March 29 at Brooklyn’s Barclays Center. Bryan Ferry’s tour includes NYC-area shows on August 7 at the Capitol Theatre and August 9 at United Palace. Tickets for the Cap and United Palace go on sale Friday (1/18) at 10 AM, with a BrooklynVegan presale for the United Palace show starting Thursday (1/17) at 10 AM. Check back here Thursday morning for the password. All North American dates are listed on the poster below, and previously announced Africa, Australia, New Zealand, Asia, Europe, and UK dates are listed below that.